Routine dental care does much more apart from cleaning mouth and teeth. It protects your teeth from unwanted disease and even minimizes the numbers of cavities. The routine care eliminates plaques, food particles and sugary parts which become the part of the cavities. Moreover, if the patient suffers from tooth drifting problems then he must acquire specialize professionals who could give the best solution. There are various professional who are expert in treating dental problems but visit best to gain best and could provide the best dental care solution with its highly specialized dentist. To correct your number tooth ailment the Dentistry provides dental bridges support, tooth straightening and reshaping through dental crowns. It is important to visit highly specialized professionals of the UK who are experienced in reshaping your denture structure with right kind f dental crowding or dentistry method. So visit the dentist twice a year or quarterly as dentist regularly check your teeth and mouth and guide you with the best advice. They also impart the laser treatment that detects hidden cavities of mouth which are a harmful infection. The dental patient must do flossing and cleaning which help in removes the building plaque which is the leading cause of cavities, gum disease, and tooth loss. Plaque is a thin layer which forms on the surface of the teeth hence promotes cavities and discoloration of teeth. A regular routine also requires mouthwash to clear mouth food particles. A mouthwash is blended with anti-bacterial properties and more suited chemicals hence remove minute bacteria’s from the mouth. Gum massage is also important and one must obtain strong teeth as only clear teeth are not the problem you have to clean your jaw and gums. You should massage your gum and gum line with suitable paste for proper hygiene. 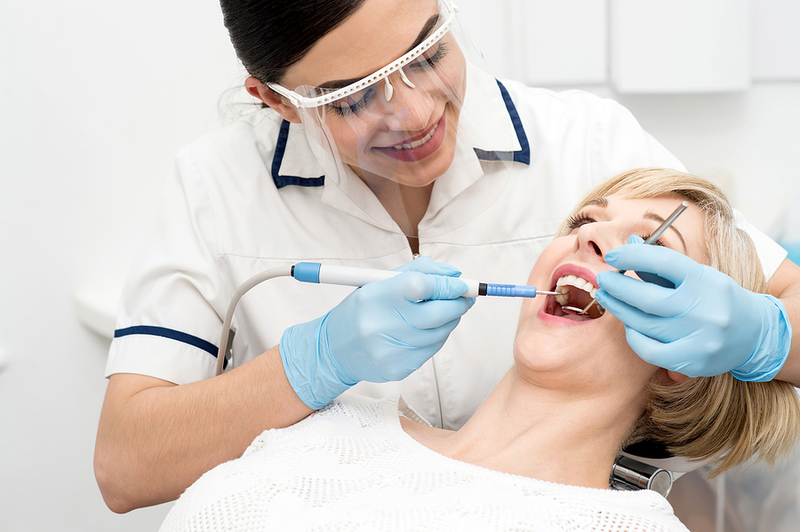 Dental care is important and visits best professionals for better treatment.